I think my quest to try all the various Thai sweets is going to take a while. Last weekend I got to try Khanom Tua Pap for the second time. Although having them with Takoh for breakfast wasn’t much of a health conscious choice. The first time I tried these I had couldn’t quite understand what my Thai friends were telling me they were, and how to actually eat them. As well as some mispronunciation of the word sesame – I just couldn’t understand what ‘ses-ame’ was! But I got there in the end with a big ‘oh’ of comprehension. 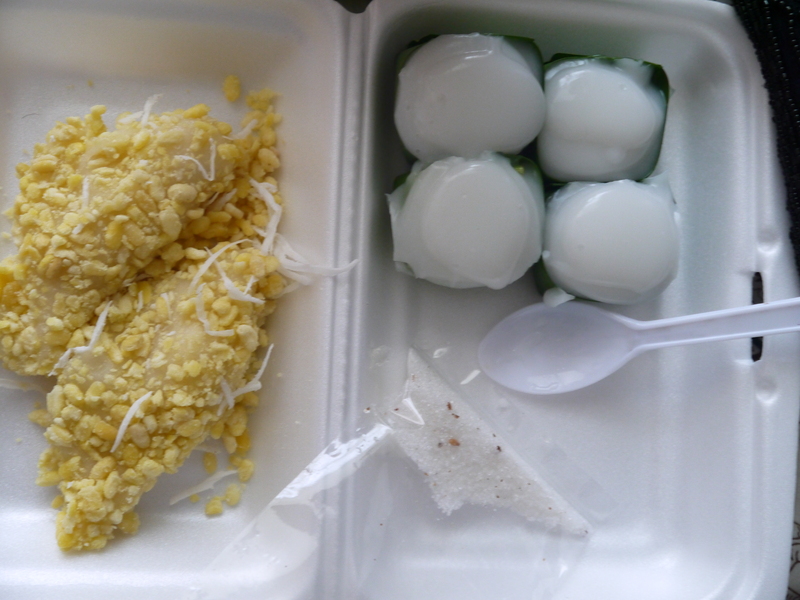 Khanom Tua Pap is an interesting sweet, which isn’t actually that sweet until you dip it in sugar with sesame seeds. 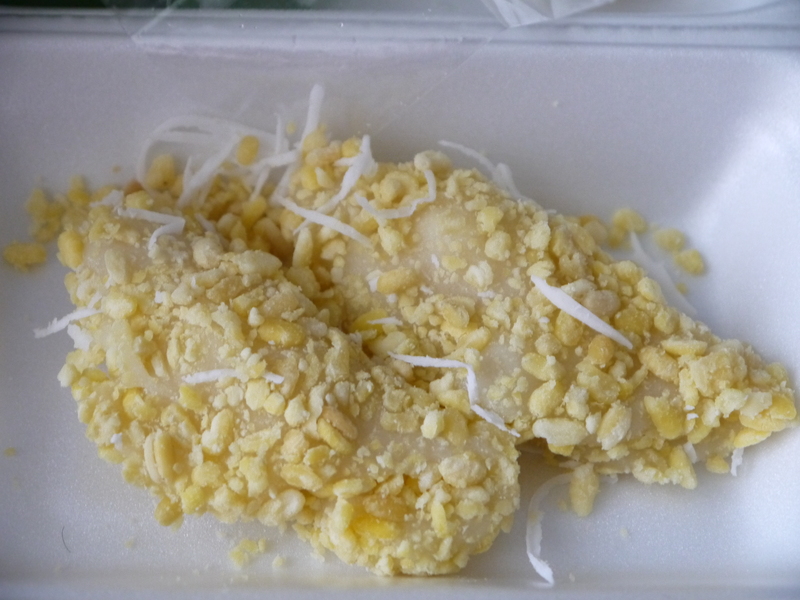 It consists of steamed mung beans, sheets of rice flour, and shredded coconut. WIthout the sugar the ingredients kind of look like a pretty healthy breakfast choice but maybe not everyday. A delicious option for breakfast! I enjoyed these sweets especially with the sesame seeds in the sugar, it gives it a nice nuttiness. On their own without the sugar they are a little bland, so I encourage you not to forget the sugar.